The sergeant was returning to Tumbarumba from a patrol to Copabella with Constable Charles Churchley when they encountered another rider on the road. When the sergeant cantered up to the rider a shot was fired almost instantly. The sergeant’s horse then plunged into the bush, carrying its mortally wounded rider. 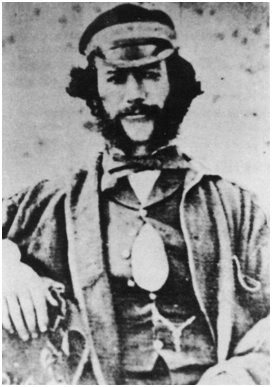 The stranger was later identified as the bushranger Daniel Morgan. The sergeant’s body was recovered the following day. The Wynyard Times newspaper dated 27 June, 1864 carried the following account. THE ENCOUNTER WITH MORGAN AND DEATH OF SERGEANT MAGINNITY. 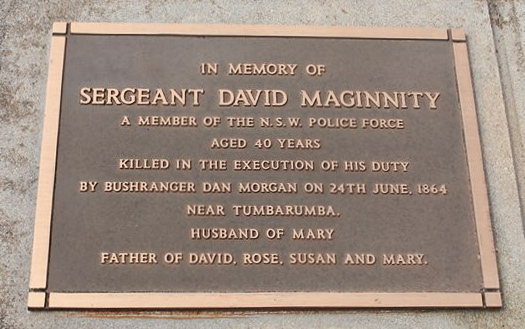 It is our painful duty to record the death of Senior-sergeant David Maginnity, of Tumbarumba, who was, on Friday last, shot dead by the notorious bushranger Morgan. 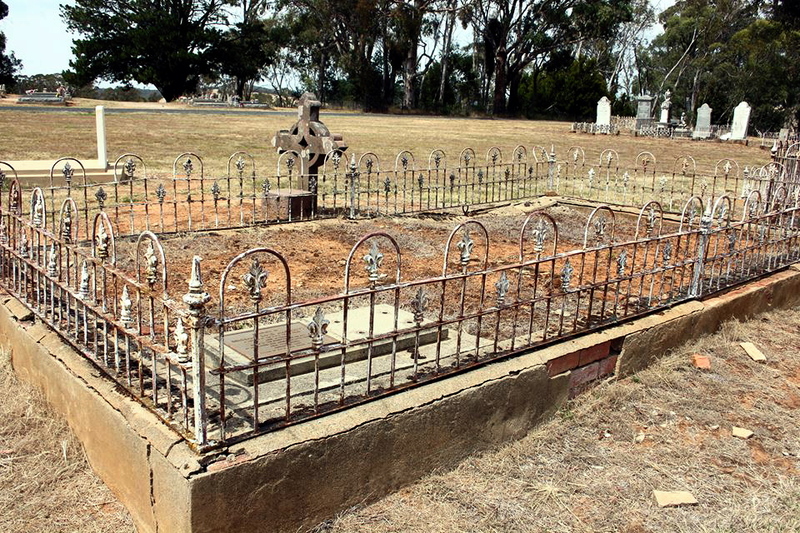 It appears that early on Thursday, Sergeant Maginnity, accompanied by constable Churchley, left Tumbarumba for Copabella, a distance of twenty miles. On their return next morning, they encountered Morgan within five miles of Copabella, at about half-past ten o’clock. At this time Churchley was a little in advance of Maginnity, when the latter, seeing Morgan, cantered up to Churchley, and hurriedly inquired of him who that was. Almost before receiving a reply, he rode smartly up to Morgan’s side, Churchley being about fifteen or twenty yards to the rear. Morgan instantly fired at Maginnity, whose horse thereupon rushed into the bush. At the same time, Morgan’s horse took the opposite direction, leaving Churchley on the road, but as his horse was completely knocked up he soon lost sight of both of them. 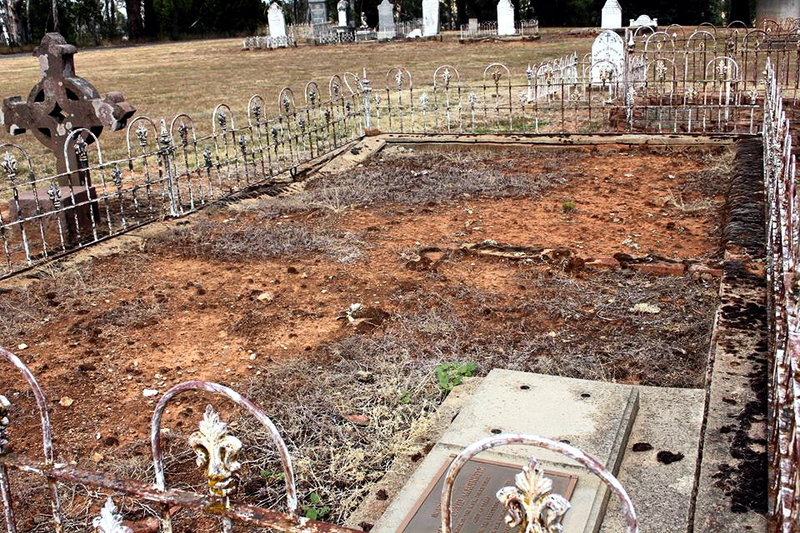 The vicious and violent Morgan, who also murdered Senior Sergeant Thomas Smyth near Albury three months after Sergeant Maginnity’s murder, was shot to death by a farmhand in April, 1865. The sergeant was born in 1815 and joined the police force on 8 July, 1853. Previously a member of the Mounted Road Patrol, in 1862 he became a member of the newly-formed New South Wales Police Force. 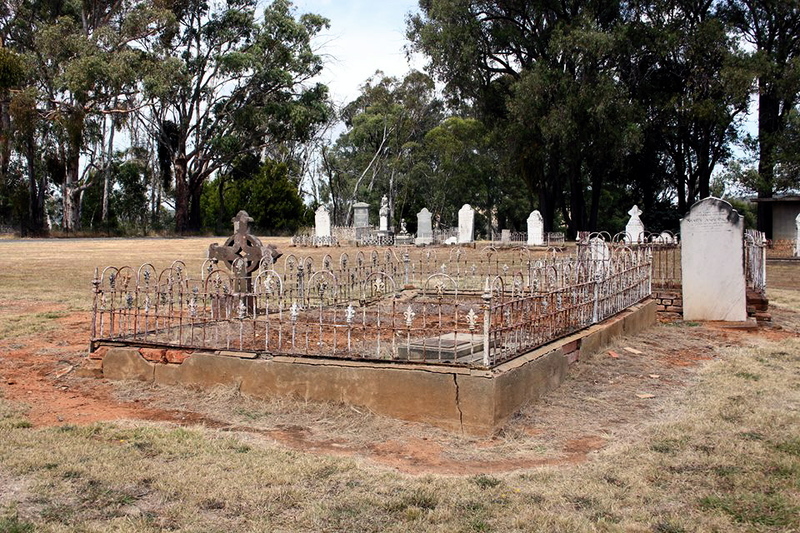 At the time of his death he was stationed at Tumbarumba.